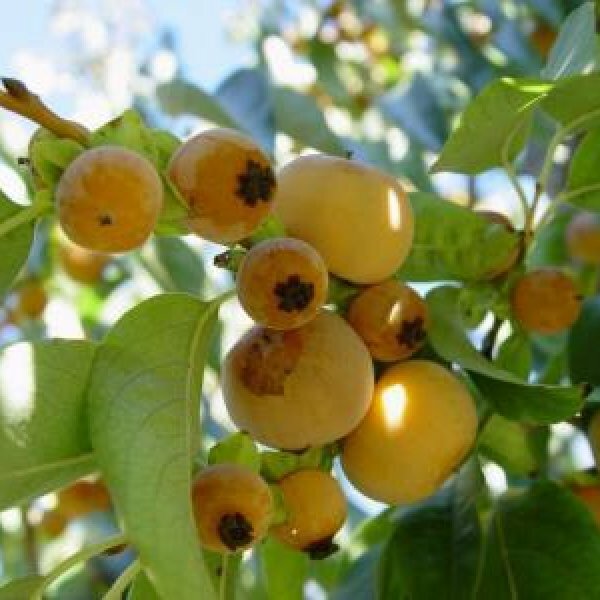 General aspect and origins - Diospyros lotus, also known as date plum, is a decidious tree that is native to Middle East and South Asia, especially from China and Japan. This tree can reach up to 90 ft (30 m) tall in warm areas, but will generally be smaller. (Up to about 30 ft -10 m- tall) it bears edible small fruits in autumn. 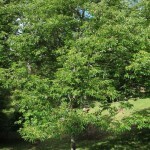 Leaves - Leaves of the date plum are decidious, and are about up to 4-5 in (10 - 12.5 cm) long. Flowers - Flowers are small and yellow-green, and are dioecious. At least both a male and female plant will be required to get viable seeds. Fruits - The date plum is a close relative to the persimmon. However, the date plum is a smaller fruit, as it is about 0.75 in (2 cm) wide. 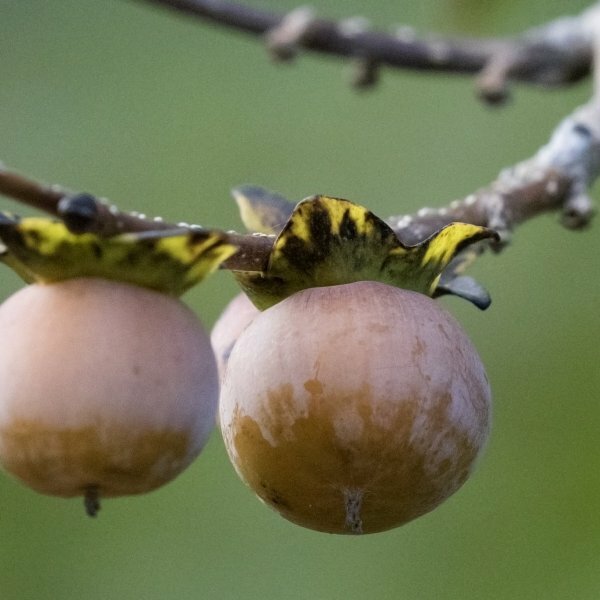 It is a globose yellow fruit that turns purple-brown when fully ripe. 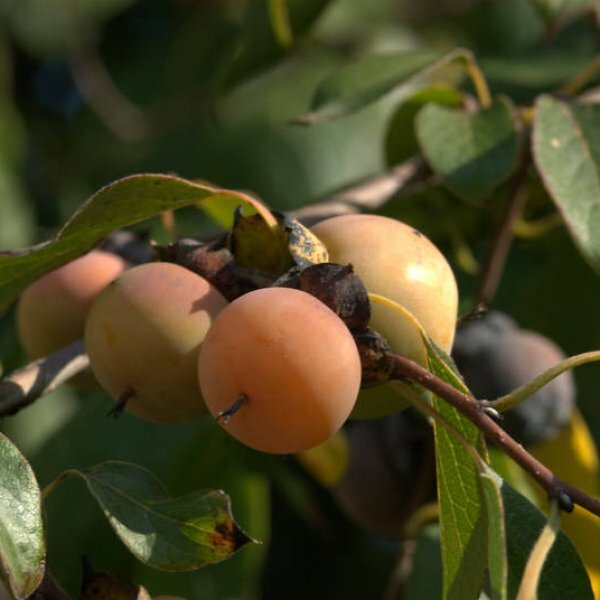 Like the persimmon, the date plum looses its astringency when fully ripe. The flesh is then very soft and rich in flavour.